What is Inbound Marketing and Why Does It Matter for Your Business? Inbound marketing is a data-driven approach to marketing with a magnet instead of a hammer. People don’t like being told who they should do business with. They want to figure it out on their own! Inbound marketing enables your prospects to qualify themselves through self-paced research. With quality content geared towards your ideal clients, inbound marketing attracts prospects to your website. Your marketing materials will help them make a purchasing decision, when they are ready to make it. This “help-first” mentality positions your business as a trusted authority your potential customers want to engage with. Traditional marketing tactics are old news. When the average person thinks of marketing, they probably think of something similar to Mad Men, with a group of people sitting around a room developing campaigns, commercials, and advertisements. They may think of “SEO,” the secret process to get your website to show up higher in Google rankings. They may also think about website development, social media or even content creation. But the general concept of marketing is this: Get your message out to as many people as you can, and by the rule of numbers, your sales will go up. The world has changed from the days of Don Draper, however. Consumers are inundated with ads and other intrusive marketing messages and have become adept at tuning out the ones that aren’t relevant. Technology has made it easier to dismiss these intrusive messages, whether that is caller ID, browser ad blockers, DVRs, or the “Skip Ad” button on YouTube. So how can you get your message to break through? First, think of this process less as “breaking through” a wall to get to your buyers. Think of it more like opening a door to your house for a party (with free food and drinks) that your buyers wants to be part of. 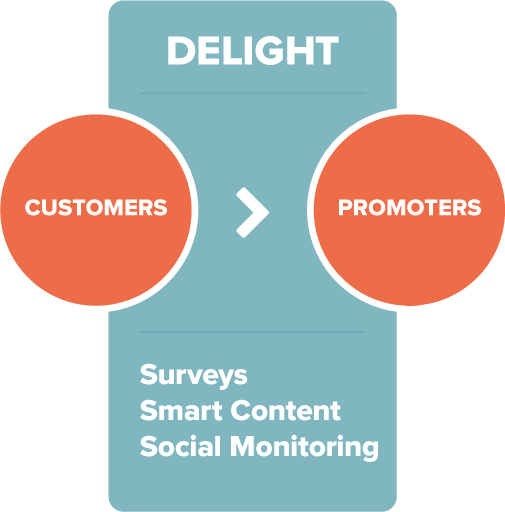 The Inbound Marketing Methodology applies four stages to the buying process: Attract, Convert, Close, and Delight. Customers move through each of these stages as they become aware of an issue/need, evaluate alternatives, and choose the best solution. Leveraging the Inbound Marketing Methodology, your digital messages are crafted to meet your consumer where they already are. You can also think of this as “on demand” marketing. Using a mix of relevant information that is tailored to your ideal client, your prospects will find you to be the expert they are looking for, developing trust and delight as they work their way down your company’s sales funnel- from visitors into leads, leads into customers, and customers into evangelists. Let’s dig in to to each of these stages - Attract, Convert, Close and Delight. As a holistic strategy that leverages your website, emails, social media and other digital marketing tactics, inbound marketing attracts more company website visitors. As companies trying to attract our ideal clients to do business with us, we should put less emphasis on beating people over the head with overly biased marketing messages. In general, people don’t like to be beaten over the head. This doesn’t mean you can’t talk about the advantages of your business services, or the features and benefits of your product. Of course that’s important. But a great inbound website will go much further than that. You’ve probably heard the saying, “Content is king,” and while it may be cliché, it’s true. Relevant, engaging, and informative content is the engine of the inbound marketing machine. You want to be the company providing information and answering questions for your customers, building trust and a developing a good rapport. But it’s not about creating content just for content’s sake. Understand who your customers are and develop your content around their interests and challenges. When you understand your customers and the type of information they are looking for in every stage of the purchase process, you can determine the best mix of content for your business. If your content is visually appealing, consider producing videos. Do you have a lot of numbers or statistics to tell? Infographics are a great way to compile that information and make it easier to understand and retain. More detailed information can be outlined in a free eBook or long-form blog article (~2,000 words). The best content isn't salesy; it's helpful. Approach your writing or video producing as a journalist would - presenting all sides of the situation objectively, with the end goal being to help the consumer of the content. Your audience will thank you! Inbound marketing is about letting your customers find you. How can you do that? Start by thinking outside of the box with your content; think differently than your competitors. This may sound radical, but take the approach of “no content that my buyers truly need to know is off limits.” That means being candid and truly helpful when it comes to pricing, competition, and industry advice. Note: this cost article for our client's website is the site's 2nd most popular page, generating hundreds of qualified leads each year. Once you have website visitors, the focus in the Convert stage of the inbound marketing methodology should be on providing relevant and valuable resources that help your prospect find the right solution for their needs. The resources your site will be offering could be a tip sheet, an eBook or an industry whitepaper - something that your ideal clients will find useful. In exchange, your site will be prompting these visitors for their basic contact information (see an example on this landing page). When the prospect shares his or her contact information, such as name, email, company name and/or phone, this exchange creates a powerful connection between your company and your potential buyer. Depending on what the lead downloaded and what actions he or she took on your website, these are people who you can continue to market to, or pass to your sales team for follow up. What do we really care about as business owners? If you see growth as a priority, you need qualified leads! Inbound marketing done the right way generates revenue for your business by using your website as a lead generation tool. When your quality, educational content is paired with the right lead generation strategy, you’ll be ready to sit back and watch the leads pour in. Your ideal clients are using the Internet to research products and services outside of 9-5 on Monday-Friday! With the right strategy in place, inbound marketing effectively turns your website into a lead generating machine - 24/7/365. Keep in mind, not all visitors who come to your website are ready to buy. In fact, less than 1% of them are ready to buy. The leads your website generates will be in different stages of their respective buying journeys, and you have to pay attention to that. This is a great opportunity for marketing to support the sales team, through personalized lead nurturing. 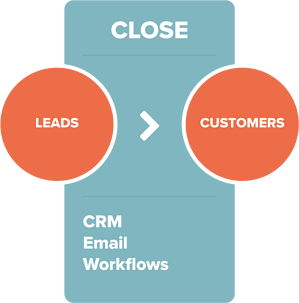 Lead nurturing is the process of transforming leads into customers with targeted, automated email nurturing campaigns (we call them workflows) and social media interactions. Case in point: the manufacturers and professional services companies we work with have a considered purchase process their prospects go through. The sales cycle for their high-ticket ($80,000+) product or services can be anywhere from several weeks to several years. During that time, lead nurturing campaigns are designed to continuously educate the lead, at their pace. The more content they consume from our clients, the more qualified they are when they're ready to speak to sales. How do you know if your inbound marketing is successful? You’ll have to set goals and work towards meeting or exceeding them. Goals give your business a direction and path for your inbound marketing plan and are your best opportunity to know if your work is successful. Knowledge is power (and knowing is better than guessing). With the right marketing software tools in place, you can better understand who your audience is and how they are engaging with your content. Analytics tools can help you learn about the demographics, attitudes, and activities of your ideal customers, and will also help you learn which pieces of content are working best for your brand. Build on what is working and generate momentum towards increased leads, clients, and dedicated, delighted customers! This is a stage that often goes overlooked. How many times have you closed a sale and started working with the client, only to forget to ask them several months later if they know anyone who could benefit from your services or product? The inbound marketing methodology extends post-sale by using context and personalization to deliver tailored messages. 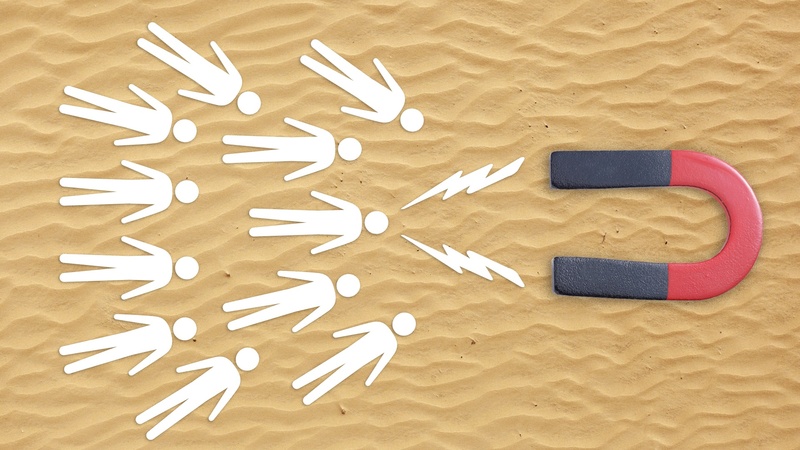 In our minds, referrals are the best type of new leads (even better than inbound!). Your marketing team can help generate more of these referral leads, and even upsell your current clients. Continuing to engage and delight current clients is vital if you want to produce results with a steady referral program. 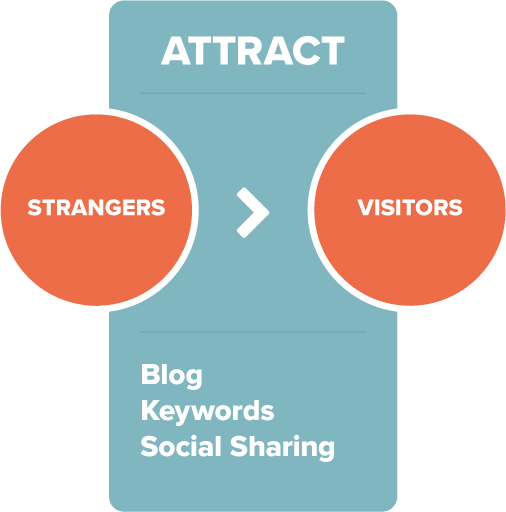 In its simplest form, the Inbound Marketing Methodology will have a dramatic impact on your business by helping you attract visitors, convert leads, close business and delight customers. 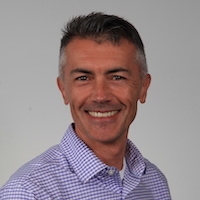 On a deeper level, embracing the principles of the Inbound Methodology will allow your business to reach its true potential - not only in marketing, but also in the sales process and across the entire customer experience. Craft Impact is a growth agency dedicated to helping clients grow and thrive using the inbound marketing methodology. We generate quality content and set out to use it strategically- to turn website visitors into quality leads for our clients’ sales teams. We get up in the morning because we’re excited to see the impact our marketing strategies have on a growing company’s revenue. In short, we spend our days learning and implementing the inbound marketing methodology so you can focus on other parts of your business. I would certainly recommend Craft Impact to others searching for someone to evaluate their website’s potential and/or to develop a plan to increase web traffic. Additionally, I want to say that Stephen has a sharp mind that listens to client’s questions, thinks before responding, and provides a thorough response to questions. It has been a pleasure working closely with Stephen and Julie, and PermaTrak looks forward to many years to come as partners with Craft Impact. 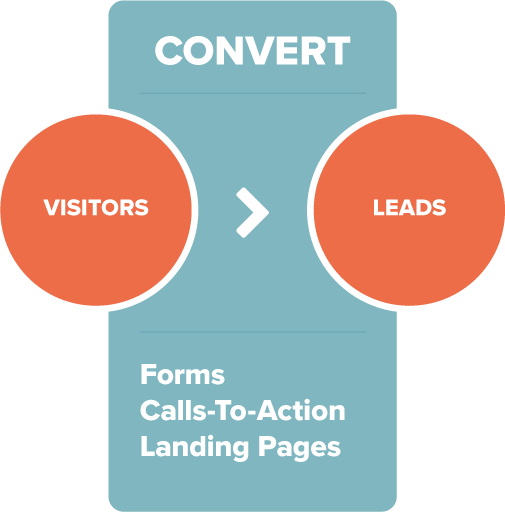 How could the Inbound Methodology apply to your business? We’ll offer inbound tips for your website and share what we’ve seen companies like yours do to aggressively grow their business.